Particles, Soft Bodies and Cloth objects may collide with mesh objects. Boids try to avoid Collision objects. The objects need to share at least one common layer to have effect. 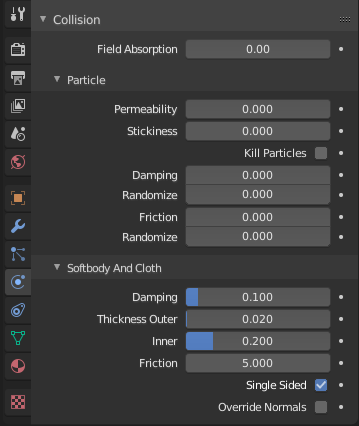 You may limit the effect on particles to a group of objects (in the Field Weights panel). Deflection for soft body objects is difficult, they often penetrate the colliding objects. Hair particles ignore deflecting objects (but you can animate them as soft bodies which take deflection into account). If you change the deflection settings for an object you have to recalculate the particle, soft body or cloth system by Free Cache, this is not done automatically. You can clear the cache for all selected objects with Ctrl-B ‣ Free cache selected. Fraction of particles passing through the mesh. How much particles stick to the object. Damping during a collision (independent of the velocity of the particles). Friction during movements along the surface. A padding distance is added to the inside and outside of each face, to help to prevent intersections. The soft body will come to rest at this distance away from the face of the colliding object. Size of the outer collision zone. Size of the inner collision zone (padding distance). 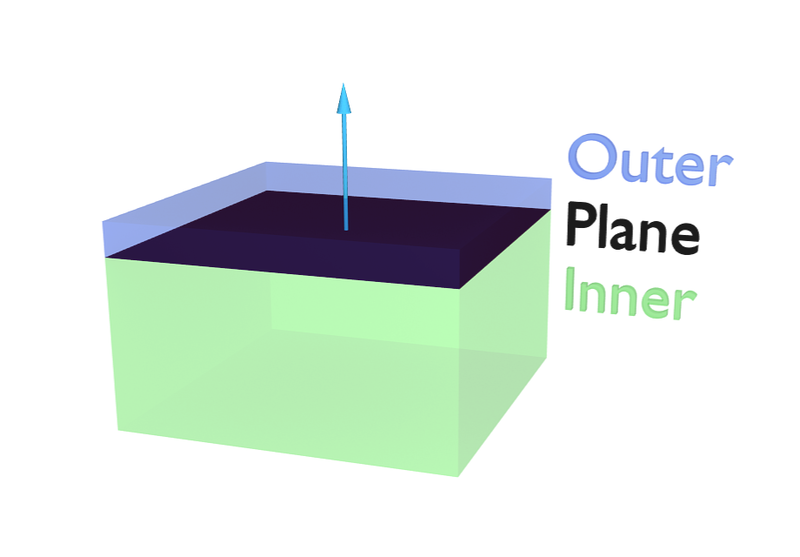 Outside and inside is defined by the face normal, depicted as blue arrow in Fig. A soft body vertex colliding with a plane..
Damping during a collision. The amount of bounce that surfaces will have. 0.0 - No damping, soft bodies will have a maximum bounciness. 1.0 - Maximum damping, soft bodies will not bounce at all. Soft body collisions are difficult to get perfect. If one of the objects move too fast, the soft body will penetrate the mesh. See also the section about Soft Bodies. A deflector can also deflect effectors. You can specify some collision/deflector objects which deflect a specific portion of the effector force using the Absorption value. 100% absorption results in no force getting through the collision/deflector object at all. If you have three collision object behind each other with e.g. 10%, 43% and 3%, the absorption ends up at around 50% \(100 × (1 - 0.1) × (1 - 0.43) × (1 - 0.03)\). 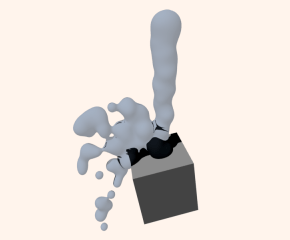 Here is a Meta object, dupliverted to a particle system emitting downwards, and deflected by a mesh cube. Make sure that the normals of the mesh surface are facing towards the particles/points for correct deflection. Hair particles react directly to force fields, so if you use a force field with a short range you do not need necessarily collision. Hair particles avoid their emitting mesh if you edit them in Particle Edit Mode. So you can at least model the hair with collision.